Burnley manager Sean Dyche felt as though his side were unsettled by Leicester being reduced to ten men so early on in their 2-1 defeat to the Foxes on Saturday. The Clarets never fully exerted themselves on Brendan Rodgers' side in a match where they had an extra man for majority of the 90 minutes, as Harry Maguire was sent off early on. 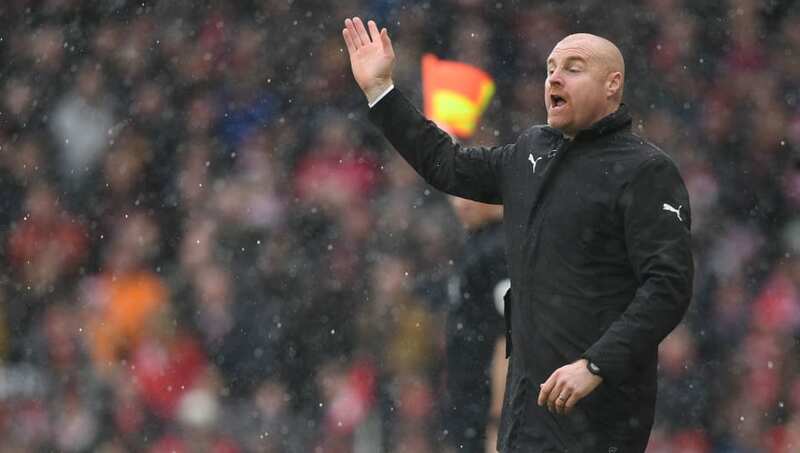 Many, including Sean Dyche, will feel that Burnley missed out on a huge chance to secure three points and boost their chances of surviving relegation. Instead, they failed to put pressure on Cardiff and Southampton - who now have a game in hand. Dyche expressed disappointment as the Clarets only managed one goal - which was an equaliser through young winger Dwight McNeil. Speaking to BBC Sport he said: "You cannot go on about conditions, both teams have to deal with it. You are always wary of a set piece when it's a tight game and they have 10 men, but they stayed resolute, kept it hard as a unit and we didn't find a way of breaking it down. "You need results, we are in a tough spell now and you want to come away with something especially against 10 but it is no 'gimme'. We did a lot right, but you have to score goals, simple as that. We created enough chances to at least nick a goal but that wasn't to be." "They went to 10 men and I think it was so early it kind of shocked us and we didn't get to grips with it.